How did Colin Beavan live off the grid in New York City? Why is Terry Ratliff at the center of a community battle over mountain top removal? What did council member Deborah Lindsay do to launch the first carbon neutral campaign in the United States? How did young activists, May Boeve and Jaime Henn organize thousands of people at the UN Conference on Climate Change? Who are the pioneers in urban farming and how has their life changed after Homegrown and appearing on Oprah? Learn the answers to these questions and more as See Jane Do goes behind the scenes and captures the stories behind the stories at the first ever Wild and Scenic Media Lounge. This coming weekend, Jan. 15-17th, Nevada City, CA will be teeming with thousands of movie fans seeking action, inspiration, information and hope. 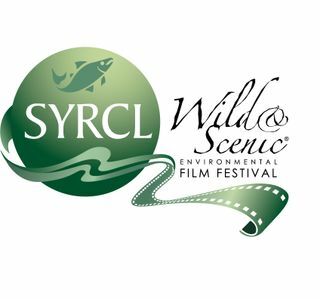 The 8th Annual Wild and Scenic Environmental Film Festival showcases over 135 films, dozens of special guests and free workshops. See Jane Do is honored to participate in the largest environmental film festival in the nation and we hope you’ll join us! The lounge is the best place for up-to-date festival information, video and photos of the nation’s largest environmental film festival. Free wi-fi and comfortable workstaions for attendees wanting to check email, blog, download photos, facebook or twitter. Go behind the scenes for exclusive interviews with filmmakers, speakers, and special guests. Meet environmental superstars and the industry pros who share their story. Participate in Q & A’s and say hi to friends worldwide as See Jane Do and Cognizant Productions streams the program live via the web and iphone. Tune in and watch interviews, catch a glimpse of featured films, and chat in real time via www.wildandscenicfilmfestival.org, www.nevadacountytv.org, or join millions of viewers at www.greentv.com! The Wild and Scenic Media Lounge hosted by See Jane Do is free and open to the public and located in the headquarters building at 210 Broad Street, Nevada City. Click here to view the schedule of interviews. Many thanks to NCTV, The FARM, Cognizant Productions and numerous volunteers who are making this vision a reality.